Acidification impacts on water quality and the fish populations in over 200 km of running water in Galloway. During the 1970’s there was a dramatic crash in fish populations in many of the river headwaters, thought to be attributable to the scavenging effects of closed canopy conifers, acid rain and the drainage of peatlands. This area is particularly sensitive to acidification due to the underlying geology offering little buffering capacity to neutralise acidic inputs. Many of the most acidic water courses flow from afforested deep peats. The process of heavily draining deep peats to create suitable conditions for growing Sitka spruce is very damaging to peatlands. 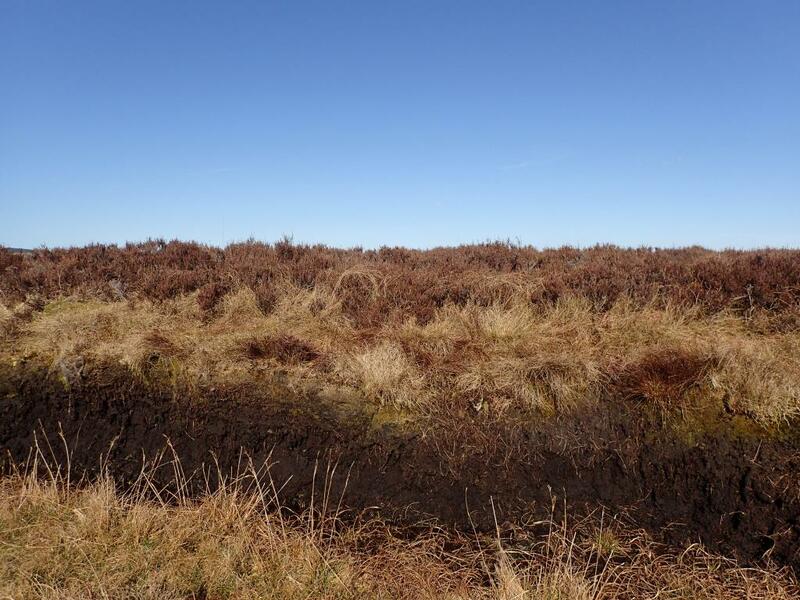 A functional peatland is largely water logged and dominated by sphagnum mosses. The lack of oxygen within the peatland is important in the process of vegetation not rotting down and accumulating over time. Peatlands are important for storing carbon, slowing down water run-off and protect water quality through storage of some pollutants. 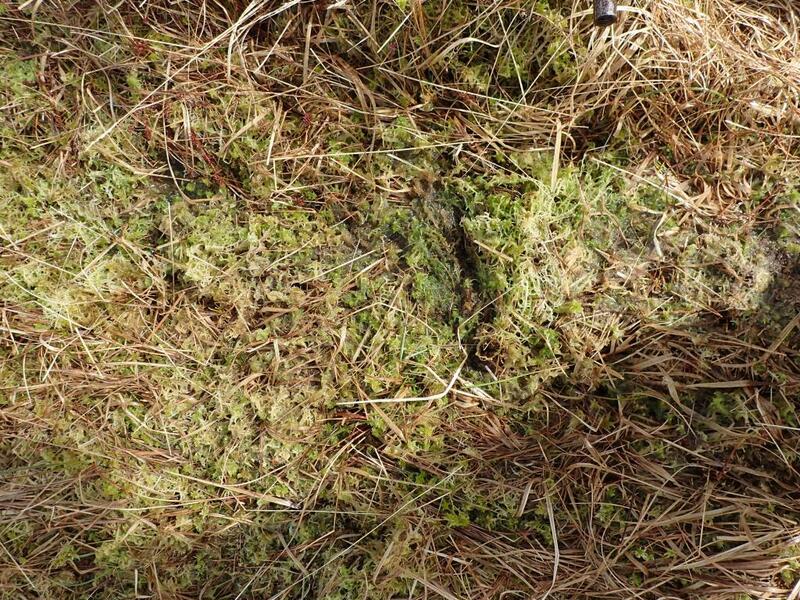 The process of draining deep peats results in oxidation of the upper layers, a loss of sphagnum moss species, the release of peat particles through water erosion or they may simply blow away. Much research has shown that a heavily drained peatland will usually reduce the water quality in the water courses that they drain into. Much of the acidification in Galloway is caused by the extensive draining of deep peats for tree planting. 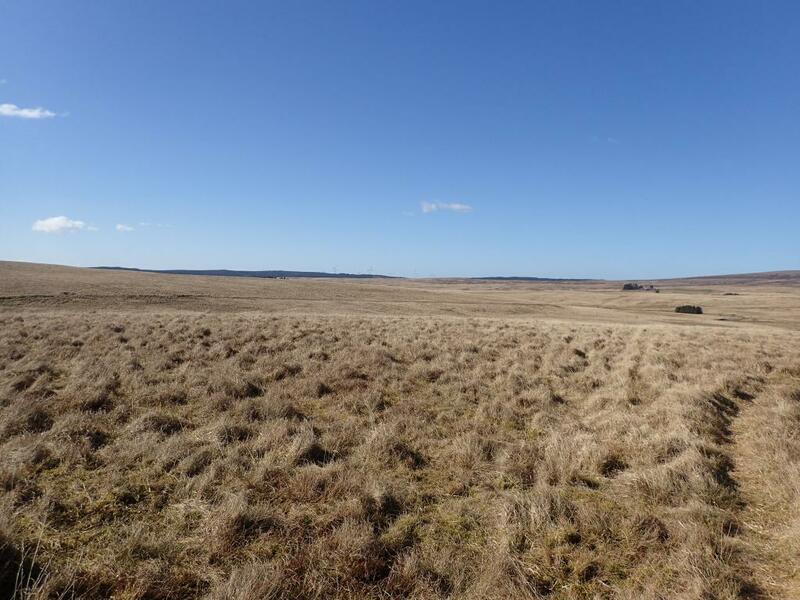 GFT consider that targeted peatland restoration is a key requirement to recover water quality and the fish populations in the upper reaches of many of the Galloway rivers. Over the last few years we have worked closely with the local Peatland Action Officers and other stakeholders to promote local peatland restoration. On the Fleet catchment a partnership project led by GFT involving private landowners, Forest Enterprise Scotland, SEPA, SNH and the Crichton Carbon Centre has gathered information on peatland condition and water quality data (including pH and Fluorescent Dissolved Organic Matter (a proxy for Dissolved Organic Carbon)) to help identify where peatland restoration is required. 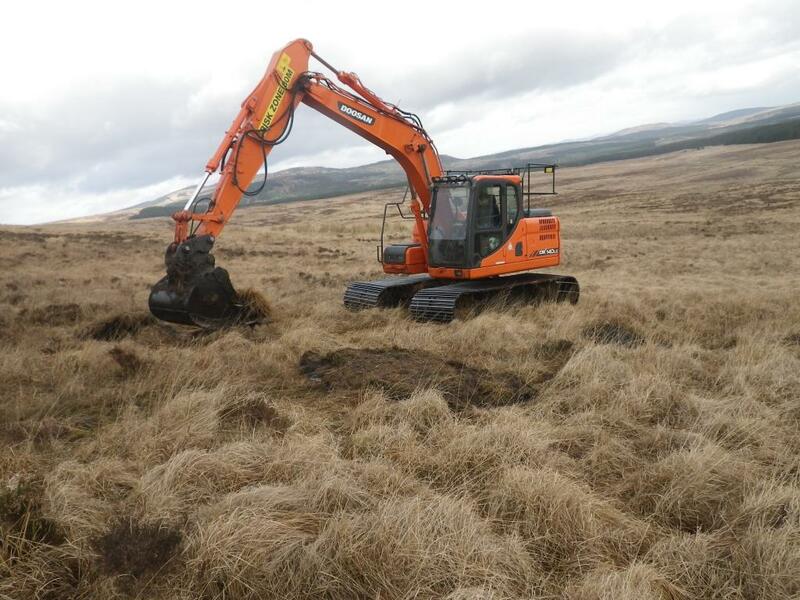 Work has now been completed blocking ditches and hag re-profiling on parts of the Cairnsmore of Fleet at Dromore Farm. 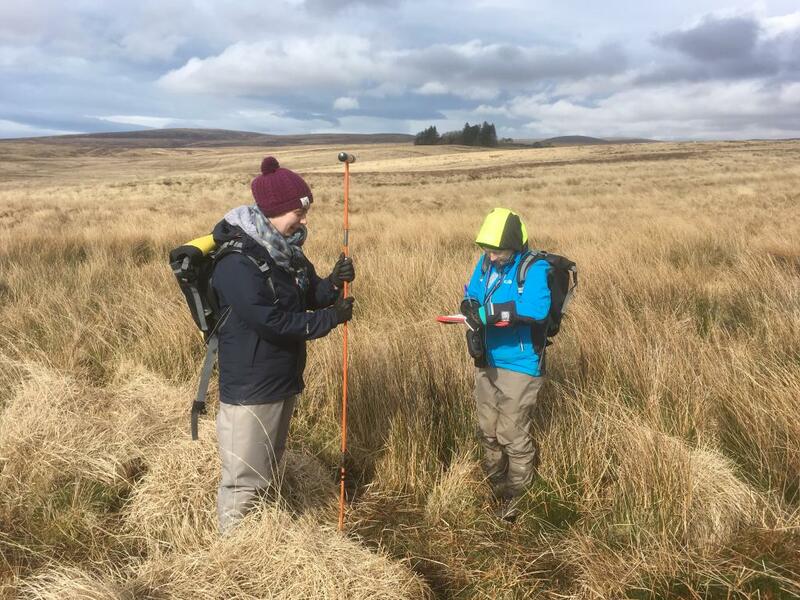 On the Bladnoch GFT completed a feasibility study (looking at peat depths, water quality and the drainage network) on the Kilquhockadale Flow near Knowe Village. 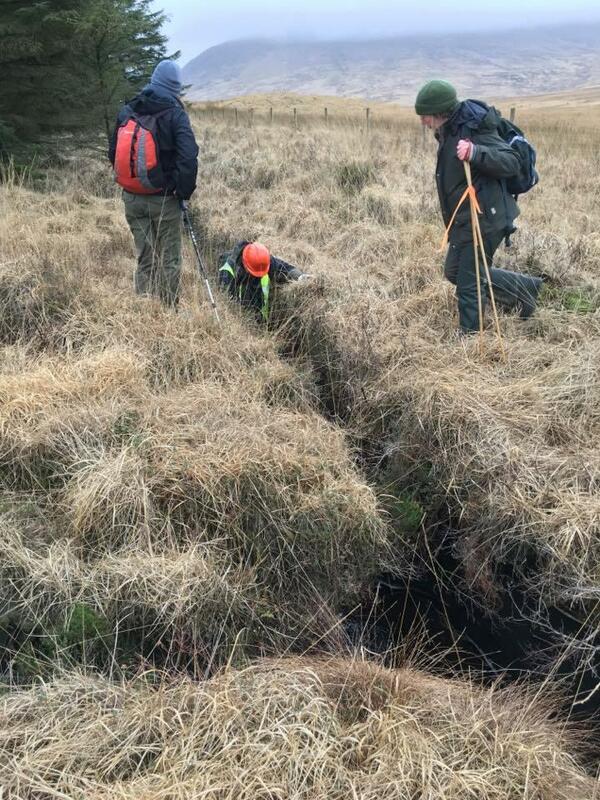 This large area of deep peat was heavily afforested with Sitka spruce and is the source of some very low pH waters which is impacting across the upper Bladnoch catchment. This peat is presently having the last trees felled from it and plans are being developed to undertake significant peatland restoration of the key deep peats here shortly. On the Cree we are monitoring water quality changes associated with a three year peatland restoration project at Moss of Cree which is undertaking ground smoothing of a previously afforested site. This technique is costly but appears very effective. 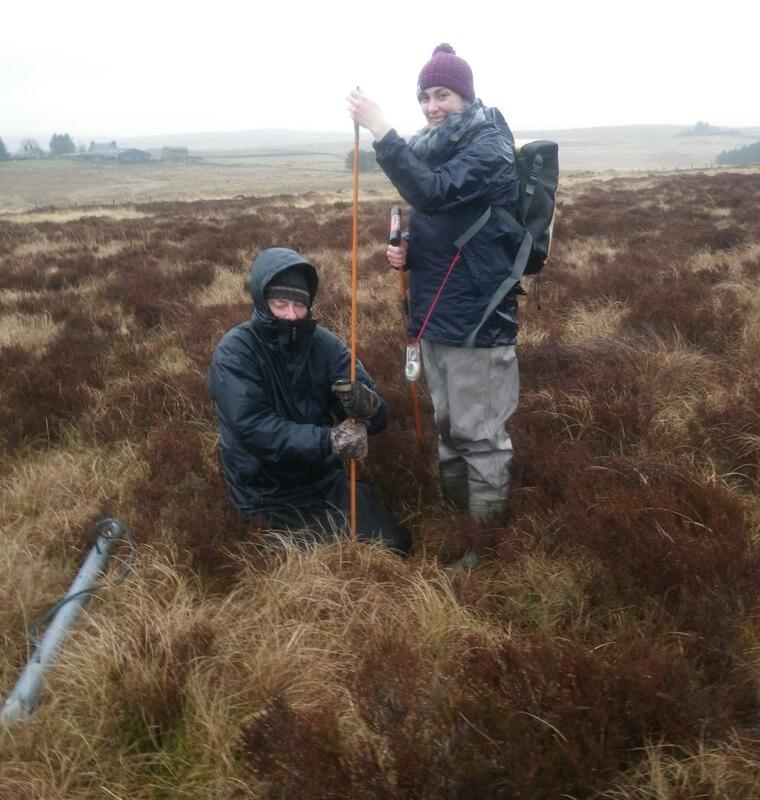 The most recent peatland restoration feasibility study we completed (with assistance from Peatland Action Officers / Crichton Carbon Centre) was across the headwaters of the Luce catchment in early 2018. 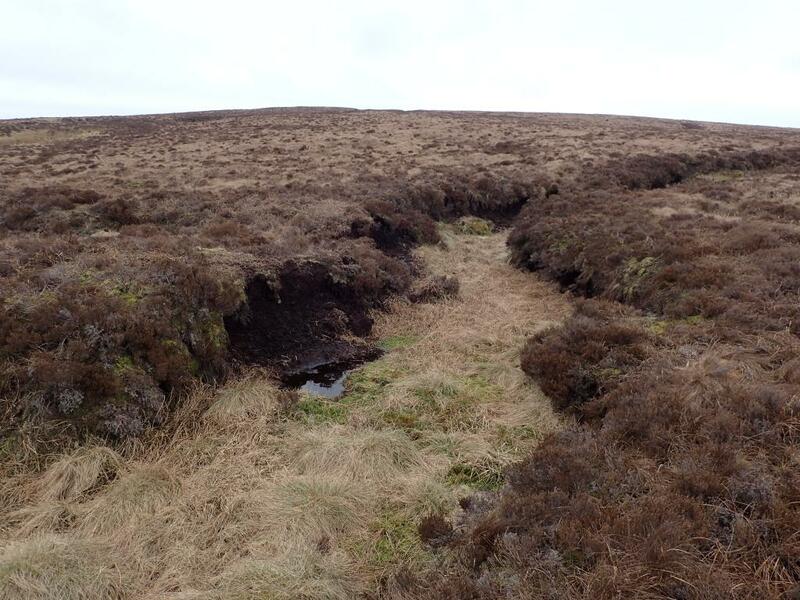 Over 17,000 ha of the Luce catchment is described as peat, with most of the upper catchment comprising of blanket bog. 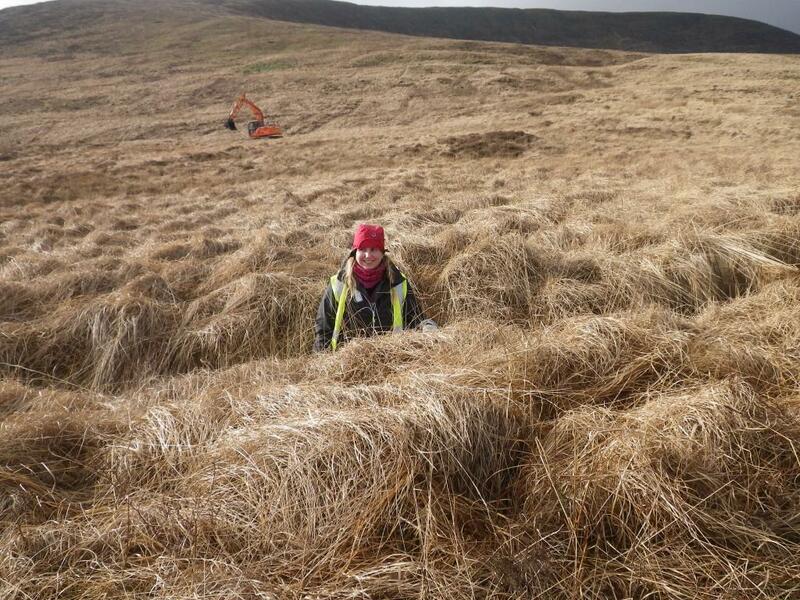 The feasibility studies are important to understand exactly where the deeper peats are, how the peats have been drained and where the greatest benefits could be achieved regarding water quality and fisheries improvements. In this study 500 peat depths were collected, a vegetation survey completed and water quality data considered. Discussions are taking place with various landowners regarding what peatland restoration could be undertaken. Most of the work described above has been funded by Peatland Action. An example of the map that can be produced using peat depths gathered by GFT staff.